Hello from Discovery Bay Jamaica! Yesterday on the 9th I was officially SCUBA certified and able to fully explore the underwater world. My first breath underwater in the ocean was truly “breath taking.” It’s hard to describe the actual feeling, but it is almost as if you feel like you are an astronaut in outer space. Both the equipment needed to remain underwater and not having -the best- control over my body and buoyancy, really did make me feel like I was not on Earth anymore even at 60 feet below the surface. Although I greatly enjoy snorkeling, something about the ability to remain at a location and not have to surface for breath is very convenient. Red mangrove roots (Rhizophora stylosa) that are unique to the plant with algae growing on them among many other various organisms. Aside from being certified, my favorite experience thus far was snorkeling in the mangroves. To the left of the docks there are red mangroves and corals and the diversity in them is astounding. Learning as I go, I realized it’s much better to explore in small groups – just me and a partner- so there are not so many disturbances in the sediment and fish aren’t frightened. 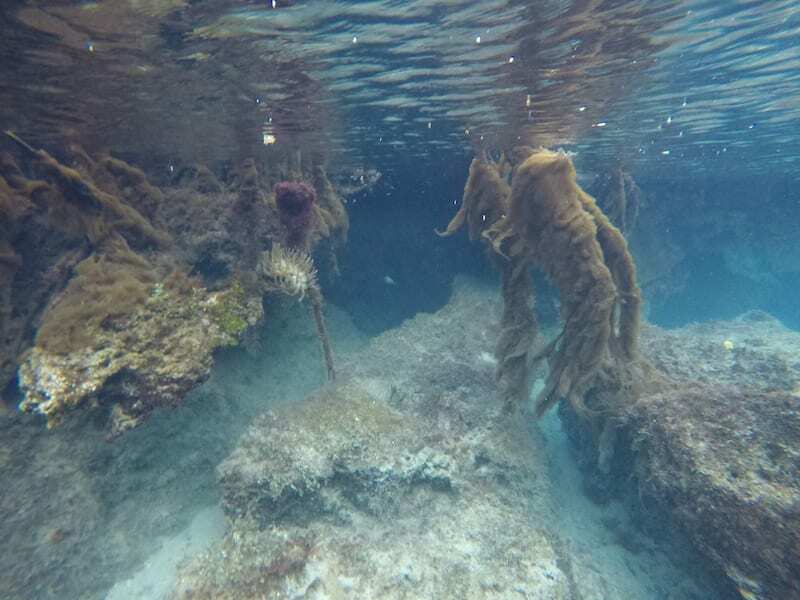 Because the water is so shallow it is difficult to navigate but after some practice I was able to really explore and venture over corals and through narrow coral pathways. 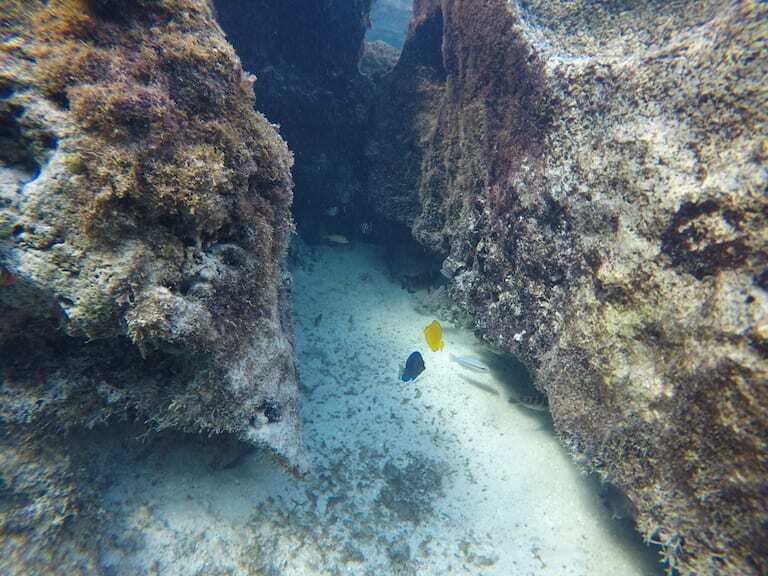 I went into an area that I was able to see cave/tunnel like structures and found both a juvenile and parent blue tang swimming together! I am looking forward to exploring the reef and mangroves again on my remaining days. Both adult (blue) and juvenile (yellow) blue tangs (Acanthurus coeruleus) with other various reef fishes. It is interesting how the bright yellow juveniles change to be a deep blue in adulthood, which is a common example of many reef fishes change through adulthood. That is amazing my beautiful girl how you push to achieve and make a way to do it and more. Keep swimming beautiful. Mom and Dad love you beyond words. So happy and excited for you. I am so so proud of you ! I am so happy that you got to live this amazing experience. I can’t wait to hear all about the incredible things you got to see and experience there !